A new chapter has begun for arts and community in Marietta. It’s an exciting time in Marietta with the opening of the first performing arts center in town and the new home to the Susquehanna Stage Company! 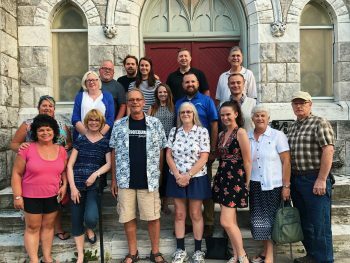 Susquehanna Stage began ten years ago, as a small but committed group of creative people gathered to discuss the possibility of a new community theatre group to Lancaster County. Believing that one must “bloom where they are planted,” they looked no further than our little river town of Marietta and worked to secure a lease with the Marietta Community House for the large brick building on the property. 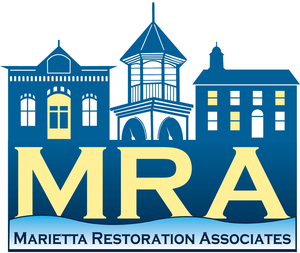 After an incredible ten years and continuous support from the Marietta Community House, they have made an exciting leap towards the future! 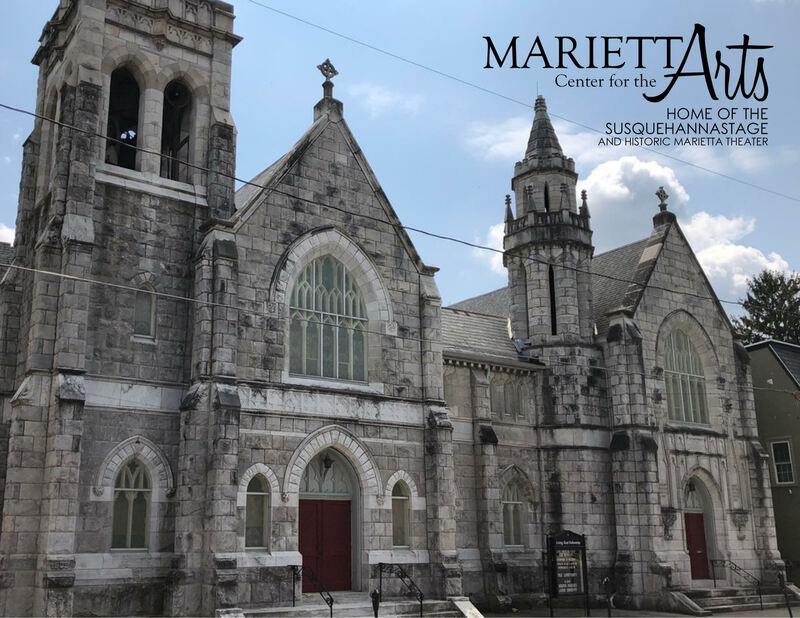 Susquehanna Stage will begin their 2019 Season in their new home in historic downtown Marietta- the new Marietta Center for the Arts – Home of the Susquehanna Stage & Historic Marietta Theatre. Susquehanna Stage will continue to create unique theater experiences, but has found a new home in the beautiful stone church at 133 West Market Street. As a non-profit community organization, their mission is to celebrate, through theatrical performances, the common humanity binding us all together. They seek to create extraordinary theatre experiences that educate, challenge, inspire, and serve the community. The Marietta Center for the Arts will be the first performing arts center in the area and hopes to be a community gathering place for active exchange about culture and the power of creativity. The Marietta Center for the Arts is quite large compared to the current theatre where Susquehanna Stage performs. The original structure was built in 1853 but has had additions put on over the years; it is approximately twelve thousand square feet in total with a rich history and endless possibilities for the future! The first-floor main entrance to the building offers two performance spaces. The first space is the Gallery Stage, which is a more intimate setting for plays, kids’ shows, staged readings, open-mic nights, art shows, and other opportunities. 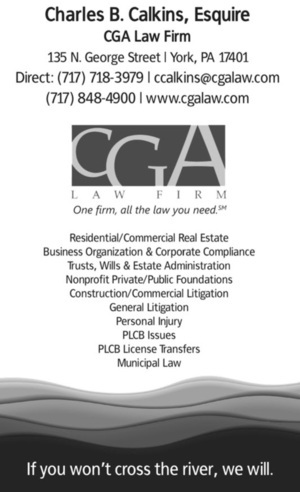 The Gallery Stage also provides a beautiful space for the community to rent for any event they can dream –such as corporate meetings, rehearsal space, bridal showers, social galas, fundraisers, and more. The main stage theatre is named after one of our most generous donors, the Eater Family Foundation. The Eater Theater will be able to house larger audiences and grander productions. Construction is set to begin in this space in January 2019, and is scheduled to open with Susquehanna Stage’s 2019 Grand Summer Theatre production of EVITA in July 2019. The downstairs area of the building has two enormous spaces. One side is dedicated to costumes, a sewing room, fitting rooms, and prop area, while the other side of the building will be the home of many art education classes. The goal is to have classes that will cover different areas of the arts – voice, movement, acting, dance, art, and more. The Education Team for the Marietta Center for the Arts is working hard to get some of these classes up and running beginning in 2019. The preservation and restoration of the Historic Marietta Theatre, which was announced in May 2018 by Susquehanna Stage, will also continue. This vision remains a long-term plan of approximately six years, and is now part of the Marietta Center for the Arts vision. The goal is to restore the beloved community building back to a working movie theatre and potential performance venue. Marietta Center for the Arts has an ongoing fundraising campaign, #LIGHTtheSTAGE, which began with the announcement of the new Marietta Center for the Arts building in October. This campaign is also tied in with the upcoming 2018 Extraordinary Give on Friday, November 16 and will continue to run through December 31, 2019. You can get involved by making a donation. It is because of patrons & generous donors like YOU that dreams like this one can be achieved. Susquehanna Stage & the new Marietta Center for the Arts are eager to expand arts & education in the growing community of Marietta!